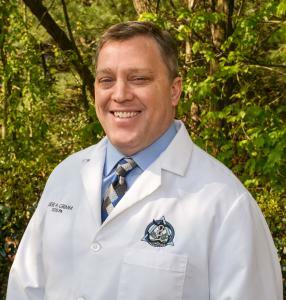 KERNERSVILLE , NORTH CAROLINA, UNITED STATES, June 11, 2018 /EINPresswire.com/ -- Kernersville, North Carolina dentist, Dr. Jesse Aron Grimm has been selected to the "America's Best Dentists" registry for 2018. Selections were made by the National Consumer Advisory Board, an organization that identifies top professionals in their fields. Dr. Grimm practices Cosmetic & Family Dentistry at 851 Old Winston Road Suite 101 in Kernersville serving patients in Kernersville, Greensboro, High Point, Winston Salem, Colfax, Oakridge, Piedmont, Triad and surrounding areas. Services include: Cosmetic Dentistry, Nitrous Oxide Sedation, Gum (Periodontal) Disease, Dental Cleanings, Fillings, Sealants, Crowns, Bridges, Dentures, Veneers, Root Canals, Dental Implants, ZOOM Teeth Whitening, Treatment for Sleep Apnea, Orthodontics, Pedodontics and Emergency Services. Dr. Grimm received his Doctor of Dental Surgery degree (DDS) from The University of Detroit Mercy School of Dentistry. He then completed an Advanced Education in General Dentistry (AEGD) residency in the United States Air Force. This program provides specialty training in numerous dental disciplines including Oral Surgery, Periodontics, Endodontics, Oral Pathology, General Dentistry and Prosthodontics. Dr. Grimm is a member of American Dental Association, Academy of General Dentistry and the North Carolina Academy of General Dentistry. He received the United States Air Force Achievement Medal for Meritorious Service with the rank of Captain in 1992. He is also a member of the North Carolina Dental Society and the Forsyth County Dental Society. For more information, please go to www.TodaysBestDentists.com or contact Dr. Jesse Aron Grimm, DDS directly at 336-996-7770 or www.jagdds.com.